Happy 25th Sunday of the year! Ahhh, the fruits from the spirit in the sky of Vatican II! 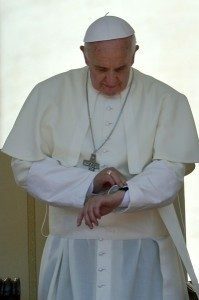 Give us your opinion as to what has caused the celebration of the Mass to deteriorate since the Second Ecumenical Council (using Vatican II as a starting point, but not the cause). You can only vote once, but you can choose more than one answer (on your first and only vote), so be careful! Voting will end on Friday, September 25, 2009 AD. Ad Populum = The priest showing his back to God while staring at the people. Instead of facing God with the people (Ad Orientem). Vernacular Liturgy = The liturgy of the Mass is celebrated in only the local language of the people instead of both the vernacular and Latin language. I am curious about the inclusion of Altar Girls in the list. Altar girls in our parish has more than doubled the number of children involved in the Mass and it seems to me that they are more careful to observe the rubrics than most of the boys were. This seems to make light of things of which you shouldn’t make light. Evidence has shown that having altar girls has reduced the number of vocations to the priesthood for each parish that allows this practice. For example, the Diocese of Lincoln has the largest seminary classes in the country and the highest ratio of priests to parishioners in the world and they are the only diocese in America that does not allow altar girls to serve. I wanted to vote for hippies! I sincerely apologize for bringing down the Catholic Church. I just wanted to serve and be a part of the liturgy. I love my faith and think it’s ridiculous that you believe that my existence is destroying the church. Why was there only one man at the foot of the cross as Jesus was dying? I was an altar girl. You told me I did a fantastic job chairing Cafe Catholica. I am SO sorry my willingness to participate in the liturgy is bringing destruction to the Catholic Church. Praise God for the allowance of altar girls! And your comments abouts nuns are mean-spirited, however much you cloak them in “dry-humor”. Ah, the Catholic Left, always having more than their fair share of the humor impaired. A joke is never just a joke, as the Viennese master used to say. I am sure the late Bob Hope would disagree and I think he would be a better authority, although Freud could be unintentionally funny as he was in his laugh riot Moses and Monotheism. I don’t have strong feelings one way or the other on female altar servers. But if it could be proven that their existence had a significant negative impact on vocations to the priesthood, that would be a fairly negative thing. But I’m not necessarily convinced that correlation equals causation in a diocese like Lincoln. My guess is that the dioceses that limit serving at the altar to boys are also doing OTHER things that are having a positive impact on vocations. Actually, the most destructive, in my opinion, would be the extreme lack of spiritually and academically grounded catechesis based on the Teaching Magisterium of the Church. What has chairing Cafe Catholica have to do with being an altar girl? I said the word generally. I did not say always and directly. That is why I said “generally”. I do think it “generally” represents how orthodox the parish is in relation to other good things that they are doing. I think if you were to look at the history and theology of the practice of a male only priesthood with an OPEN mind you would probably have a better understanding of why the custom of male alter service is important. Altar service is not a reward for doing good, your appeal to the absence of men at the foot of the altar illustrates your misunderstanding. Your understanding of liturgical participation would also benefit from a study of the writings of the Holy Father on the matter. Participation is not about who gets to be on the altar, or who gets to run around with the Precious Blood. There’s no doubt that young girls do very well at serving on the altar, but does it do them a service or a harm? Serving at the altar has long been a path to the priesthood, do you not see how having altar girls gives false expectations and cuts off the valid path for boys? Do you not see how the boys have tended to shun the service now? Also, look into the history of altar girls, it was introduced as a liturgical abuse and was finally allowed? The same is the case for communion in the hand. By asking “what has caused the celebration of the Mass to deteriorate?” and including “altar girls” as an option implies that the altar girls themselves contribute to what you believe to be the deterioration of the Mass. As a former altar girl, I am offended. Yes, I realize that you labeled this post as “dry humor” but I find nothing funny about it. So, what I’m saying is that you were very vocal about your praise for this summer’s Café Catholica. So, apparently this former altar girl is still able to serve in the local church without bringing about the deterioration of the liturgy. Maybe I’m taking this too far … but I think you have, too. And I don’t appreciate it. The next logical step after altar girls is women priests. You know, they just love the liturgy and they just want to serve the Church, so why can’t they do that? This is absolutely right. The Mass is not entertainment, it is not a show during which the priest is the lead role and the servers are is co-leads. I reject anything that is demanded in the spirit of “I want”. It isn’t about you, whoever you are, male or female. Men and women are not interchangeable biological organisms, they are unique and different for purposes determined by God. Another thing that bothers me – the notion that these things, these traditions, ancient and sacred, “don’t really matter”. Why not have altar girls, why not have anything we damn well please? It is not for us to decide “what matters”. And of course I realize that our modern Church allows these sort of things to take place. I find it terribly unfortunate that the generation of hippies – aging and thankfully on their way out – decided to push the traditions of the Church into the background in an effort to appease the modern secular world, the Protestants, and everyone else but the faithful Catholics who didn’t ask for or require innovative gimmicks to stay within the Church. I look forward to the day when the younger and decidedly more conservative generation reverses the bulk of this sappy, feel-good nonsense. And I am grateful that our Pope has reaffirmed the right of Catholics to establish and attend a traditional Tridentine Mass in their parishes, where these sort of things simply do not take place. >>I think if you were to look at the history and theology of the practice of a male only priesthood with an OPEN mind you would probably have a better understanding of why the custom of male alter service is important. Well, hello again Matt. I completely support the male only priesthood (something you would know if you actually took the time to get to know me instead of criticizing my beliefs and my involvement in the church over blogs and emails). I understand that altar service is historically a precursor to the priesthood. It is a precursor – not a prerequisite. Many of the theology classes that are prerequisites to ordination are also attended by women who are pursuing a Masters in Theology with the intent to teach … should they be banned from taking these classes? Altar servers do not administer sacraments. They assist in the celebration of the Eucharist – carrying the crucifix, preparing the altar for the liturgy of the Eucharist. >>Altar service is not a reward for doing good, your appeal to the absence of men at the foot of the altar illustrates your misunderstanding. I never said it was a reward for doing good – it is an opportunity for our youth to participate in the Mass and serve their community. The list of “weapons of Mass destruction” explicitly list women in two of the “weapons” – nuns wearing pants and altar girls. Women have historically played a strong role in the Church – I agree that the Sacrament of Holy Orders is for men just as bearing life is for women. Give the women a chance to serve in the role that the USCCB allows them to do so and stop blaming us. >>Your understanding of liturgical participation would also benefit from a study of the writings of the Holy Father on the matter. Participation is not about who gets to be on the altar, or who gets to run around with the Precious Blood. Please show me the writings of the Holy Father that allows anyone to “run around” with the Precious Blood. In my years as serving as an altar server as well as an Extraordinary Minister of Holy Communion we have been taught to handle and share the Body and Blood of Christ with utmost reverence, which does not include running. apparently this former altar girl is still able to serve in the local church without bringing about the deterioration of the liturgy. 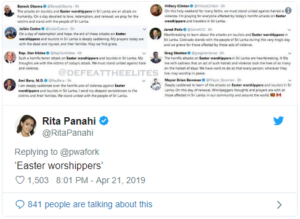 I don’t think Tito was accusing you (or any other former altar girl) of personally causing harm to the liturgy, or that a former altar girl can’t do some good. The point is that THE PRACTICE of having altar girls contributes to a serious problem with the liturgy. I’m sure nobody here thinks you did anything morally wrong by being an altar girl, surely you didn’t know better at the time, and meant only to do good. Correlation without causation is a favorite form of “evidence” used by the V2 haters. Never mind that Mass attendance began to decline BEFORE any of these reforms. Never mind that mainstream Protestant denominations have also been in decline. Never mind that the most church-going conservative crazy-about-their-faith Christians go to the innovative and thoroughly modern evangelical churches. I’d say that greatest cause of Mass destruction is the inability to recognize that small-t tradition is for the benefit of man, not the other way around. Having said all that, I’d like to see a return to altar rails and Communion on the tongue and I think parishes should ban felt banners on purely aesthetic grounds. I never questioned your support of a male only priesthood, I’m merely pointing out the incongruety of your position with this doctrine. In Italy, altart boys are referred to as “chierichetto”, literally little clerics. I understand that altar service is historically a precursor to the priesthood. It is a precursor – not a prerequisite. in case you haven’t noticed, there is a deep shortage of priests… do you think it’s a good idea to cut off this customary path to the priesthood? Many of the theology classes that are prerequisites to ordination are also attended by women who are pursuing a Masters in Theology with the intent to teach … should they be banned from taking these classes? Of course not, that’s a completely different situation. I have no objection to women learning anything or teaching anything that they have the ability to do. it is an opportunity for our youth to participate in the Mass and serve their community. As I said, it is incorrect to believe that a youth participates any less fully and really from the pews than she does on the altar, in fact the opposite could be argued. There is no shortage of ways to serve the community which more correctly orient young girls to their proper roles in the Church and without alienating the young boys from theirs. 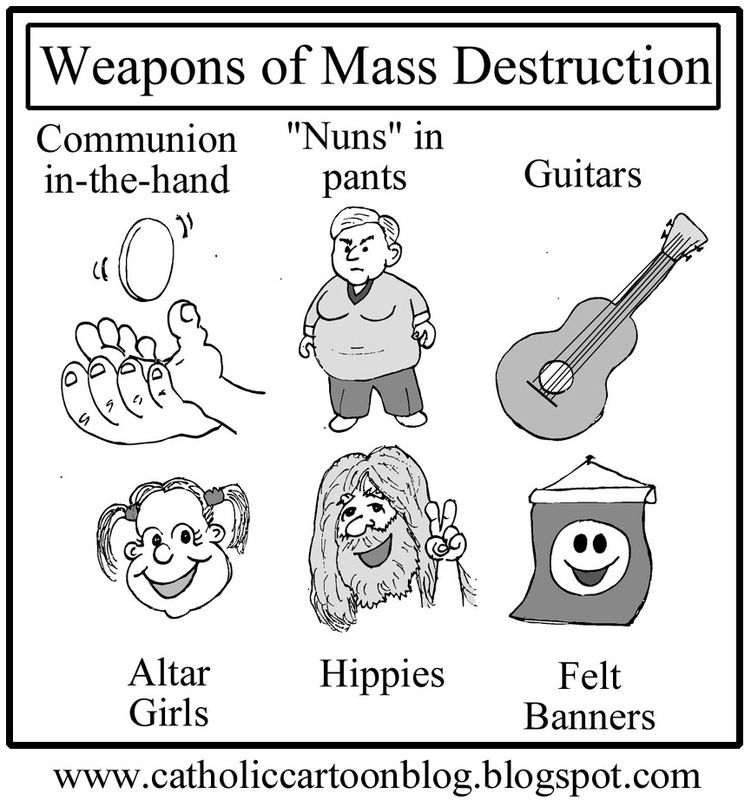 The list of “weapons of Mass destruction” explicitly list women in two of the “weapons” – nuns wearing pants and altar girls. Women have historically played a strong role in the Church – I agree that the Sacrament of Holy Orders is for men just as bearing life is for women. Give the women a chance to serve in the role that the USCCB allows them to do so and stop blaming us. nobody is blaming YOU, please, this is not about YOU. We don’t blame the women for being altar girls, we blame the priests and bishops who encourage or allowed the illicit practice in the first place, and we blame the pope for conceding to it. As to the nuns in pants, I guess that blame falls on the nuns, but also to the priests and bishops. i don’t know where you get your material from, but none of the things listed are called for by Vatican II. There is nothing inherently wrong with Mass in the vernacular. The oldest liturgies of the Church were celebrated in the language that the people actually spoke. The Bible itself and the liturgy shifted into Latin because the New Testament, as we know, was written in Greek and the majority of educated minds spoke Greek — but Latin was the common tongue of the poor, who would obviously have expressed difficulty in any real meaningful participation or understanding of what it is they are entering into. The Divine Liturgy was celebrated in Latin because it was the language of the people. There is nothing wrong per se about a vernacular liturgy. I think the point of frustration has to do with the quality of biblical translations, not the language the liturgy is celebrated in. Are there differences between the two? Definitely. Are there problems with some of the mentalities and ideas that are used to justify some of these liturgical changes? Yes. But this does not violate the validity of receiving communion in the hand. For example, in the Eastern tradition, which is just as rich (if not at times, theologically and liturgically richer), Catholics remain standing for the majority of the liturgy, receive communion standing, and usually do not kneel. If you think about the Jewish mentality that influenced the West (i.e. Diaspora Jews, particularly those in Rome), there is a strong top-down mentality. In Matthew, Jesus gives the Sermon on the Mount — God is looking down on us. There is strong emphasis on the prophecy of Isaiah that all shall kneel before Christ in adoration due to the one God of Israel. 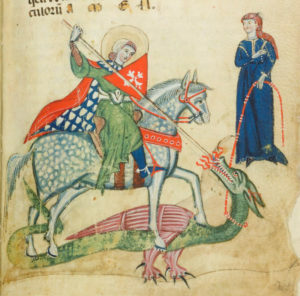 This influenced liturgical thinking in the West, in terms of things that traditionally varied beyond those things fundamentally essential to the liturgy itself. But in the East, with greater Greek influence, the focus is on the process of “theosis”. The whole spirituality really in the East focuses on becoming “partakers of the divine nature,” which is the fulfillment of the kergyma of salvific recapitulation described by St. Paul in Gal 4:4-7. In this way, we are being incorporated into the very life of God — to share in the ‘Sonship’ of the Son of God. If you read the Gospel of Luke, I think there are traces of this spirituality in the Sermon on the Plain — the equal grounding, of God coming down from heaven and “clothing” Himself in our human nature. So in that spirit, the Christian East (which is now being mimicked in the West — without the proper understanding, unfortunately) we stand in reverence of Christ, like we stand in honor of a King or someone of respectable nobility in our presence (and also because the Divine Liturgy and the canonical hours of the East are so incredibly long in their celebration, when not cut short, if you weren’t forced to stand, you would literally go to sleep). This understanding is not without merit. So in defense of what I think in many ways are legitimate and superior understandings of the Roman-rite, we must not use language to absolutize them as irrevocably essential to the liturgy itself to the point that all else is absolutely invalid (and notice I am being vague and not pointing to specific things here) because the great number of Christian liturgies might contradict you. So, I would be careful in that regard. I would rather we maintain both of these understandings and I’m not convinced we began to stand in the West for the reasons that Eastern Catholics do — if anything, I’m not sure what the reasoning was because I have never looked into it. >> in case you haven’t noticed, there is a deep shortage of priests… do you think it’s a good idea to cut off this customary path to the priesthood? Okay, now you’re the one putting words into my mouth … I did not suggest “cutting off this customary path to the priesthood”. I just clarified that being an altar server does not directly lead to priestly formation. >> As I said, it is incorrect to believe that a youth participates any less fully and really from the pews than she does on the altar, in fact the opposite could be argued. There is no shortage of ways to serve the community which more correctly orient young girls to their proper roles in the Church and without alienating the young boys from theirs. Okay, finally – we agree on something. Participation in the Mass in the pews is definitely important. How does allowing girls to be altar servers alienate young men from becoming altar servers? good points. I think that it’s possible to take each of these issues in isolation and say that alone destroyed the liturgy, the point, as I think you alluded to, is the intention of each step and their affect as a whole. One practice that at it’s core can be blamed is the “versus populum”, that posture fundamentally changes the people’s perspective of the priest and worship, and so it must also change the priest. He no longer stands leading us to worship, but instead, we turn towards each other, and he appears as a showman on the stage. Okay, finally – we agree on something. Participation in the Mass in the pews is definitely important. When I was an altar server, I was very immature in my faith. 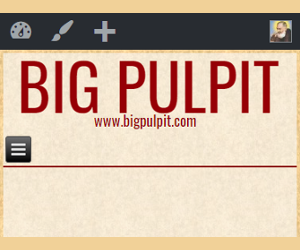 The liturgy hadn’t begun to “click” for me. I have been an EMHC for 12 years and my faith has grown tremendously during that time. Literally giving someone the body and blood of Christ has deepened my appreciation for the liturgy. The youth at my parish who are altar servers are also in formation classes I have lead. They are growing and developing a love for the Mass that is beautiful and inspiring. I hope that being an altar server has had a role in that as serving as an EMHC does for me. By the way … how does allowing girls to be altar servers alienate young men from becoming altar servers? >> nobody is blaming YOU, please, this is not about YOU. We don’t blame the women for being altar girls, we blame the priests and bishops who encourage or allowed the illicit practice in the first place, and we blame the pope for conceding to it. Then I think Tito should re-word the blog entry and the selection to be “The Bishops allowing women to be altar servers”, “The Bishops allowing communicants to receive the Eucharist on the hand” and so on. The wording as it stands appears lays blame on the young girls, the musicians, etc. If you are so determined to find blame then be clear on whom you are blaming. As I said before, there is one option I think has been left off the list “Closed-minded people who point fingers at simple things that don’t really matter”. I am supportive of correct liturgical practices as defined in the GIRM. But let’s get the focus where it belongs – on being the hands and feet of Christ and loving our brothers and sisters as He loves us. It is noteworthy that the age-span and number of the altar servers is greater in our parish in the four years that we have had altar servers. Not so long ago, it seemed as though, due to forgetfulness or valid excuse, the earlier and later masses were often served by only one altar boy. Most of the altar boys were 14 or younger and there were no altar servers at the weekday masses at all. Now there are altar servers as young as 10 or 11 and there are ALWAYS at least 2 and usually 3 altar servers on Sunday masses and those on Holy Days. From a purely practical point of view, this seems to be an improvement. I am also not terribly impressed with the argument that restricting altar servers to boys preserves a path to the priesthood. I suspect that God calls many more men and women to His service than follow his path. With an average of 2.6 children per Catholic family, I suspect that the smaller families tend to deter acceptance of vocations. Fewer priests, brothers, sisters, and nuns make the religious life less visible and further subordinates the position of that vocational choice for young people. It is important, I think to note that vocal dissenters at American Catholic universities can’t be helping and various scandals within our Church has to have taken a toll. My point is simply that the gender of altar servers has to be pretty low on the list of reasons for the decline in acceptance of vocations. Finally, from a practical point of view, having older teens of both genders in the sacristy presents a unique opportunity to reassure the Catholic laity that the American Church has learned its lesson with regards to protecting children from abuse. Do we truly believe that altar girls are in any way either to blame for or a symptom of the problems in the Church? I would mostly concur. I think many changes are not absolutely invalid in and of themselves, but I think we should be very thoughtful in our analysis of how things change our perspectives of things — even if we might not realize it. I am just making the point there is no absolute rubric of what is and is not liturgically permissible per se, in that, I mean, something can have great theological and liturgical validity insofar as that it does not contradict what the liturgy in fact is — literally the marriage feast of the lamb described in Revelation and more so, Heaven, in our midst. The great honor and penitence we ought to feel is, for example, undermined by attempts to use contemporary Christian music, or even, instruments. I don’t think the Divine Liturgy, heaven on earth, really ought to remind us of anything outside — which is why I really favor chanting. But on a different note, the liturgy in the first century particularly was seen by the first Christians as a continuation of the Jewish Todah feast — and the Eucharist really is a Todah feast and remains one. The “versus populum” is not in and of itself invalid. We cannot say with historical certainty (or claim that it was universal) that the person presiding over a Eucharistic banquet, which in the first century was not divorced entirely yet from the meal and was done in house-churches really had that format. So we must be careful in our language about that — and I think we have been, but I am always careful in this issue to draw lines. But, the theology of the High Priest entering the Holy of holies for the people and offering a sacrifice on their behalf, of leading the people, and entering where they cannot — this is really the case of the priest standing In Persona Christi — is really and profoundly lost in the “versus populum” perspective. It becomes too often and falsely a “celebratory” meal that involves no penitential sentiment or physical, sacramental gestures that convey this deeply rich theological understanding that the priest facing “Ad Orientem” can. And it is for that reason I think the priest ought to face that direction, toward the East, toward the Sun where the Garden was, where the Tree of Life is, where the Divine Liturgy of the Book of Revelation tells us that all who celebrate and participate in the Marriage Feast of the Lamb will be led. This all is essentially lost and it is very disappointing. I also missed the memo that “vernacular liturgy” was being purely defined as totally one language to the exclusion of Latin in even some of the prayers or “Mass parts.” So be ware of that in my previous comments. I guess if you had ever been a small boy, or raised one you would understand, but I’ll do my best to explain. Little boys like to play with other little boys, they like to emulate the older boys. They like playing in the mud, and don’t like anything that is perceived to be “girly”. When you introduce altar girls you create an atmosphere that is just not appealing to them. So you think that of the Holy Fathers who for centuries considered such practices to be significant enough to forbid them officially and publicly? (1) To assume that people who disagree with you and do not think these changes are true “progress” and would undermine the Church in her mission to evangelize the world are “close-minded” is really actually a mark of intolerance. Perhaps, that is closed-minded? Moreover, it is a deep and far-reaching implication to assume that the most subtle things within the liturgy, or anything in the liturgy “don’t really matter.” That is quite a presumption, which, if it is the edifice of your argument, can easily undermine all your other points. Also to call something “correct” liturgical practices, presupposes an infallibility of that code — and as we might all note, there have been legitimate and illegitimate reforms to the liturgy, with changes occurring based on issues that arise. So, I would advise straying away from making presumptions that are debatable the crux of your argument without first defending them. It might help our dialogue here progress further beyond disagreement of fundamentals. I don’t think we disagree at all. I’m not at all suggesting that any of these practices are “invalid”, only that their practice, as a whole led to a degeneration of the Sacred Liturgy. As you said, we are not discussing questions of infallibility but ones which are prudential, and within the authority of the Holy See, or in some cases deferred to the local ordinary. It seems to me, that the “versus populum” changes the perspective of all participants in a way that would allow all these other problems to occur without objection. If it’s just a “show” why can’t we have girls up there, why can’t all the people distribute communion, why should we kneel? I must say it is striking — and the case seems to be similar with Joe and yourself — that on a political column, we quickly diverge. I think it is quite a grace that, as far as I can remember, when the issue is theological or liturgical, we don’t disagree very much. In fact, I am theologically and liturgically quite “conservative,” e.g. I actually believe the Gospel of John was actually written by the Apostle (which to biblical scholars is just pure heresy). I’m glad to know we aren’t always butting heads. it is a refreshing change of pace. I have long and often noted that there is a divergence doctrinal liberals and political ones. I think that there are a very many people who are doctrinally very conservative and yet have a more “leftish” view of politics. The converse of course is true (O’Relly and Hannity come to mind). Matt. You have issues with Hannity (well, he supports contraception, left the Church I think, and attacked a priest on the air for calling him out on his dissent) and O’Reilly? We have made more progress than Catholics and Orthodox have in a thousand years. I’m being hypoerbolic…I hope. Those two actually, in union with Glen Beck, make me very angry. But then again…Olbermann, Maddows, Matthews. I actually like Gretta and Morning Joe. But I absolutely love and admire Pat Buchanan. Well, I voted for Communion in the hand. John Zmirak once made the point that belief in the Real Presence has taken a downward dive since VII. If people had to kneel down for movie tickets, he said, they would develop the notion that movie tickets are special,perhaps even sacred things. Well, the reverse has happened. Now we hand out the Body of Christ as if it is a movie ticket – and people have come to believe that Communion is no big deal. Growing up with a predominately boy neighborhood and with 3 brothers, I know that girls have cooties until they are in middle/high school (in which they become cute or hot and dating material). Little boys want nothing to do with with little girls until they get rid of their cooties. Matt – Yeah thanks for pointing out the problem of blurring the distinction between the priest and the laity due to the use of EME’s. Sometimes when I go to Mass I get up and try to give a crappy homily! We really need to fix this! My vote goes to something not even on the ballot — displacing the tabernacle from its position of honor, on the dubious grounds that it would “confuse” or “distract” parishioners from the action of the liturgy. This, I believe, reduced the sense of the Real Prescence and reverence for the Blessed Sacrament, though not perhaps intentionally. I don’t know that liturgical dance was really widespread enough to have caused “Mass destruction” on a global or nationwide scale. As for altar girls I think it’s too soon to tell what the long-term effect will be. You see, they’ve only been permitted by the Holy See for the past 15 years. I don’t think the negative effect (if any) would be as pronounced in parishes and dioceses that WAITED until the practice was authorized (thereby showing obedience to the pope) to start it, as in those parishes that started doing it when it was clearly not allowed. I have absolutely no beef with a male-only priesthood, I never had any desire to be a priest myself nor did I ever have a desire to be an altar girl. So what follows is not intended as a raging feminist rant but simply to point out a flaw in one of the arguments against female altar servers. If, as some argue, allowing girls to serve Mass turns altar service into a “girly” thing, makes it less attractive to boys and young men, and deludes girls into thinking they can grow up to be priests, thereby undermining priestly vocations, then why not extend that logic even farther and say that allowing females ANYWHERE in the sanctuary, or anywhere inside a church at all, has the same effect? For that matter why not ban women from coming anywhere within 20 feet of the sanctuary, or from attending Mass at all if that’s the case? Why not set up separate chapels strictly for women to attend or divide every church into a men’s and women’s side with a screen like some Orthodox Jews do in their synagogues? Because the Church did ban women from acting as altar servers until just a minute ago in historical terms. The burden of proof rests on those making the innovation, not upon those carrying out a tradition sanctioned by Catholic belief for two millenia. The Church did that while cherishing the role of women within the Church as the devotion to Mary, Queen of Heaven, amply demonstrates. It’s really not that widespread I think, but it is completely devastating to True Worship that it bears mentioning. Because the salvation of souls depends on a strong and plentiful supply of priests, it’s just not a place for gender “bending” which will lead to at least some, if not many souls lost. Why? Because every Catholic man or woman has a right to the sacraments, an obligation to attend, and an important role to play at the Holy Sacrifice of the Mass. Nobody has a “right” to be in the sanctuary, or fulfill any role not proper to their station. Those roles are strictly for the good of the Church. [40.] Nevertheless, from the fact that the liturgical celebration obviously entails activity, it does not follow that everyone must necessarily have something concrete to do beyond the actions and gestures, as if a certain specific liturgical ministry must necessarily be given to the individuals to be carried out by them. Instead, catechetical instruction should strive diligently to correct those widespread superficial notions and practices often seen in recent years in this regard, and ever to instill anew in all of Christ’s faithful that sense of deep wonder before the greatness of the mystery of faith that is the Eucharist, in whose celebration the Church is forever passing from what is obsolete into newness of life: “in novitatem a vetustate”. Frankly it would be best if the bishops implemented the canonical status of lector, and acolyte sufficient to perform their rightful functions in the sanctuary, and expand the permanent diaconate for similar reasons. Why do you think the Church treats these minor orders as steps along the path to the priesthood, and reserves them to men? No, I don’t think women should be specifically banned from the sanctuary, I believe all lay people who have not been canonically instituted to the proper function should not perform those functions absent TRULY extraordinary circumstances. That is what the rubrics actually call for. The Church did that while cherishing the role of women within the Church as the devotion to Mary, Queen of Heaven, amply demonstrates. An excellent point, would that it would be sufficient to quell the false notion of misogyny seen by those opposed to the specifically male roles in the liturgy. Ok, THAT argument makes more sense to me than the notion that allowing females to do something thereby automatically makes it less attractive to males. Although, if your recommendation that the minor orders of lector and acolyte be restored or attached to the permanent diaconate, and that no lay person who hasn’t been formally installed in those ministries be allowed to perform them except in emergencies, wouldn’t that in effect ban women from the sanctuary altogether, as they would not only be forbidden from serving but from giving any of the readings? I agree with you Elaine. It seems that some churches think they can just place the tabernacle anywhere they want. Often times the parishioners are kneeling to the altar and the tabernacle is off to the side somewhere. Most people don’t realize that they are not kneeling to Christ. However, the altar girl issue may not appear to be a problem..but if you really think about it you can see the problems. The 12 Apostles were not girls. allowing females to do something thereby automatically makes it less attractive to males. that argument was specifically addressed to the question of altar boys, because, even if it’s not very mature, do think little of “girly” activities, and so if you, as I do, believe we are in dire need of more manly, and Holy priests, should not want to see them discouraged at a young age from heading down such a fruitful path to the priesthood. The last post was from Matt. He borrowed my computer. Jenn, it’s true the 12 Apostles — from whom we derive the “apostolic succession” that all priests and bishops share in — were all male, and this does argue strongly in favor of an all male priesthood. I’m not sure, however, how one extends that argument beyond the ordained ministries of the episcopate, priesthood, and diaconate* to argue against girls and women being allowed to do ANYTHING even remotely resembling what the priest does (serving, reading/lectoring, distributing Communion) and not appear to be motivated at least in part by misogyny, or the sentiment referred to above — that allowing girls or women to do something automatically means men and boys will think it beneath them and won’t want to do it anymore. In other words I don’t know how you put this particular genie back into the bottle at this point. I personally still think the problem lies NOT in the actual concept of female altar servers, as in the fact that so many parishes and dioceses disobediently instituted “altar girls” long before the Vatican allowed it. These parishes/dioceses were more likely than not to have been disobedient or less than orthodox in other ways which contributed to the “Mass destruction” we are discussing in this thread. I think a much bigger factor in the decline of vocations is simply the fact that young Catholics are not as acquainted with priests and Religious as they used to be (due to there being fewer priests and nuns in parishes, schools, hospitals, etc), and don’t understand what exactly their vocations involve. Perhaps the exposure that EWTN has provided to Mother Angelica, Fr. Pacwa and other clerical/religious personalities has compensated for the loss of vocations somewhat, but certainly not entirely. I agree that “active participation” in the Mass is certainly NOT limited to performing actual liturgical functions, and that one does not have to be “doing something” at every moment in order to be participating. The wrongheaded notion of “active participation” that arose after Vatican II (not necessarily because of it) did play a role in “Mass destruction” also. * There is some debate as to whether the “deaconesses” of the early Church shared in an ordained ministry comparable to that of present day deacons; I tend to believe they did not. If we carry the “boys won’t do anything they perceive as ‘girly'” argument to its logical conclusion, then women should never be allowed to enlist in ANY branch of the military (not simply kept out of front line combat, which is an entirely different matter), nor should women be allowed to enter law enforcement, firefighting, construction work, or any profession which “manly men” can generally perform better than they, and which would suffer if it did become predominantly female. I realize that this is getting off topic here and is an entirely different matter from the nature of the priesthood; I’m just saying that there has to be a better argument against female altar servers, lectors, etc. than simply “If girls do it, it will drive away boys and they won’t become priests.” Is there any actual evidence of this in parishes that adopted female servers AFTER the Vatican allowed it? And aren’t there other dioceses besides Lincoln that have thriving vocation programs AND female altar servers as well? that’s exactly how the world sees an all male priesthood… you need to look below the surface. or the sentiment referred to above — that allowing girls or women to do something automatically means men and boys will think it beneath them and won’t want to do it anymore. Interesting how you expand the point to include men and not just young boys, when nobody made such an extension, and furthermore you insert the word “beneath”. You’re creating, probably unintentionally, a little misogynistic strawman. Not one person opposing altar girls has proposed that it is beneath men to share a role with women, or that it is somehow “above” a woman’s station to serve at the altar. In fact it is only women supporting altar girls who have made such a false proposition. A sad sign of the insidious Bouvoirian feminism that has seeped into the Church in the years since Vatican II. Obviously, disobedience is much worse, but the very reason the Holy See ultimately indulged the practice is because it had become so widespread. The very reason the Holy See opposed altar girls for so long is the exact reason that it was illicitly introduced. The fact that the Holy See caved does not change the opposition’s problematic view of gender roles. As to putting the genie back in the bottle, you’re correct that the damage has been done and it will be painful. If it is handled gradually and delicately by those empowered to do so (parish priests and local ordinaries, and hopefully the Holy Father) most unnecessary hardship can be avoided. I know of parishes where there was a gradual process of shifting girls out over time, as well as introducing female specific ministries to replace the altar. So… a shortage of priests was a big factor in the shortage of priests? Well, it’s true, but there has to be other factors, or the shortage would never have occurred in the first place. Absolutely, and it manifested itself in multiple ways, including the practice of altar girls, and the ordinary use of extraordinary ministers. The debate is mostly among the pro-women’s ordination crowd, and is really irrelevant, as the Church has made clear that the diaconate is strictly open to men. If we carry the “boys won’t do anything they perceive as ‘girly’” argument to its logical conclusion, then women should never be allowed to enlist in ANY branch of the military (not simply kept out of front line combat, which is an entirely different matter), nor should women be allowed to enter law enforcement, firefighting, construction work, or any profession which “manly men” can generally perform better than they, and which would suffer if it did become predominantly female. It’s irrelevant because we’re talking strictly boys… but I’ll bite. I actually tend to agree that for critical services (military, police, fire) which women perform poorly at a substantial portion of the functional requirements should be restricted to male applicants. Non-critical services are free to make their own hiring practices, but should not be subject to any sort of quota forcing them into hiring women who perform less effectively than their male counterparts. Of course, the converse should apply to fields which women generally perform better at than men. Are you denying the fact that where there are female altar servers present, the boys are driven away? Honestly? Or are you just saying you don’t care about those misogynistic little boys getting on a path to the priesthood? Is there any actual evidence of this in parishes that adopted female servers AFTER the Vatican allowed it? And aren’t there other dioceses besides Lincoln that have thriving vocation programs AND female altar servers as well? Virginia I believe has strong vocations, they started allowing altar girls 2 years ago, so we’ll see soon enough the fruits of it. There’s a broader point at issue here. Since I’ve breached PC and most of the feminist leaning women here consider me misogynistic anyway… The whole Church has leaned deeply towards a more feminine perspective, as a result, male participation IN ALL AREAS has dropped drastically and disproportionately to women. What many don’t realize is the ENORMOUS effect that this will have on the following generations. As the Church has long taught and is discussed particularly by St. Paul (a misogynist after my own heart), men are to be the spiritual leaders. Apparently, children are much wiser than feminists and recognize this. Statistics clearly show that the greatest influence on a person’s mass attendance is their FATHER’s mass attendance. So, congratulations pro-altar girl crowd, you have gained not equality but superiority in a barren and sterile Church…. destined to be emptied..
That is quite true, however, I think lots of men abdicated their responsibilities in this regard and treated church attendance, morality, and religion in general as strictly “womanly” concerns long before Vatican II. The notion of the mother as the keeper of religion and morals in the home (the de facto spiritual head) actually goes back to the Victorian era if not earlier. Been out and about with Mass, and other spiritual activities. Just want you to know that I love you as a brother. Yep, I think you finally hit the nail on the head! How come molesting little boys isn’t on the list? I believe that is hurting the church’s credibility more than anything else. I voted “ad populum”. The other stuff is annoying, but not as universal and ubiquitous. E.g., Guitar masses are fairly easy to avoid, nuns in pants look like angry old men, barely anyone I know has ever seen liturgical dancing and felt banners are easily confiscated and disposed of by…. unknown parishioners….. Regarding your comments that boys would not participate in activities with girls, what about co-ed sports teams for children? Would that dissuade boys from playing high school soccer because they played with girls growing up? I posed your theory to a priest friend last night. He was an altar server alongside girls and just celebrated his 3rd anniversary of ordination. The presence of female altar servers had no impact on him. And I don’t think I’ve heard the word “cooties” from a child singer i was one. Regarding the writings of the church leiders who supported thee liturgical practices, I doubt they wereld written with such disdain and anger. Mostly because the decline has been evident long before the molesting made the headlines, and also because the topic is deterioration of celebration of the Mass, not the Church’s credibility in general. Most boys that would play soccer end up playing something else (football/baseball) precisely because soccer in this country is seen as a “girly” sport. Other countries, where it is more popular, think co-ed soccer is crazy. There is a reason that softball and baseball are what they are. I also don’t see many co-ed basketball, football, hockey, lacrosse or other sports at the middle school or higher level, at least not competitively. I am not saying it is right, I am just relating the observations. Regarding your comments that boys would not participate in activities with girls, what about co-ed sports teams for children? Would that dissuade boys from playing high school soccer because they played with girls growing up? yes. But our salvation doesn’t depend on soccer. I posed your theory to a priest friend last night. He was an altar server alongside girls and just celebrated his 3rd anniversary of ordination. The presence of female altar servers had no impact on him. Bully for him. He is among a class that is 60-70% smaller than it should be, do you think it’s possible that SOME of the boys were not so magnanimous at a young age and so missed there vocation? I suspect your young priest friend could do well to study the behavior of more typical young boys if he is to fulfill his role of drawing men to the priesthood… or does he subscribe to the teddy bear approach? Precisely. We’re discussing the reaction young boys have to co-ed activities, so I’m glad you can confirm that it is an actual phenomenon. The only disdain and anger is coming from you, do you want me to post the text message you sent me??? Including the snide remark about a grammatical error? In any event, I’m glad you recognize the Church’s longstanding position on this. Another point I want to raise which makes the situation even worse with regard to co-ed altar service (aside from the fact that salvation is at stake), is that girls actually do extremely well because of their greater maturity at that age, and their greater attention to detail. The girls soon take over, which further alienates the boys. Honestly, if people would set aside their deep-seated feminist ideology, they would recognize the fundamentally obvious facts. Girls and boys are DIFFERENT. It’s not only absurd to suggest that we are interchangeable, it is a violation of the TRUE dignity of womanhood. I have no strong feelings about girl altar servers, but on balance I sort of disfavor the idea precisely for the prudential reasons proffered by others. Young boys often first discover their calling when serving Mass, but young boys are often not interested in doing anything perceived as girly. Boyish girls are considered endearing tom-boys, so are usually not shy about trying to mix it up with boys if they share their interests. But girlish boys are not considered so endearing, and boys will go out of their way to avoid doing anything that is considered less than masculine. None of this is theological; it is solely prudential. Finally, I think Elain is spot on right about men abdicating their role, in some cultures more than others. I just see no reason to aggravate that sad phenomenon. I don’t hear or see of many co-ed sports until college. Even YMCA sports have a youth girls and a youth boys basketball team, not a girl-boy co-ed team. Matt – You are a pig. because soccer in this country is seen as a “girly” sport. I said removal of altar rails because I think they are pretty. I assume Tito is away from his computer. I am closing comments on this thread pending his decision on what to do regarding this thread. The personal attacks contained in this thread cross way over the lines established by blog policy.